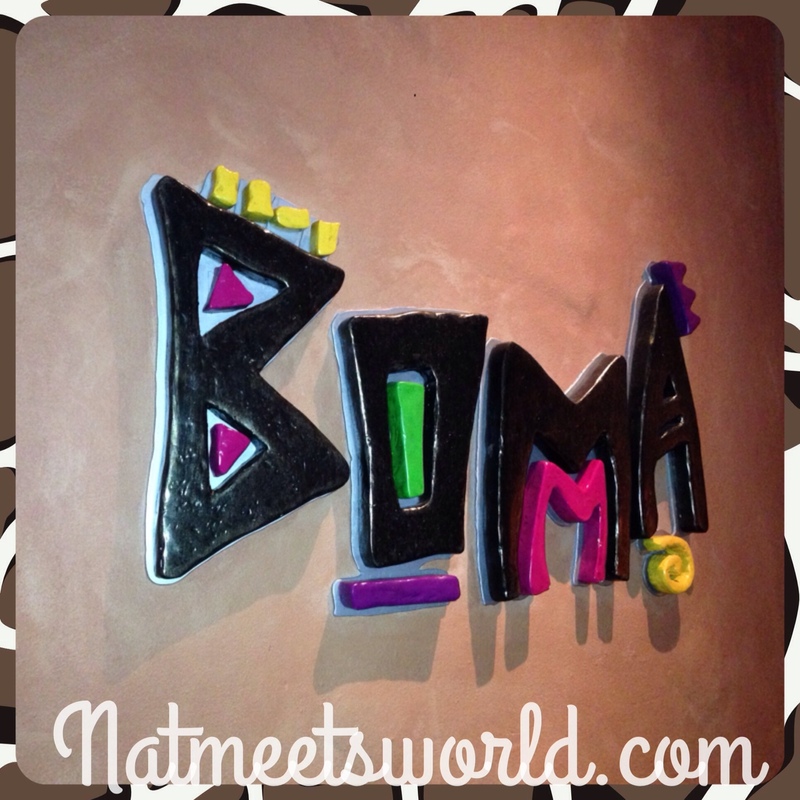 If you have not been to Boma at the Walt Disney World’s Animal Kingdom Lodge, you are missing out! This out of this world restaurant is open for breakfast and dinner and contains cuisine inspired by the culture of 50 countries, which no other Disney restaurant has. You are in for a treat! 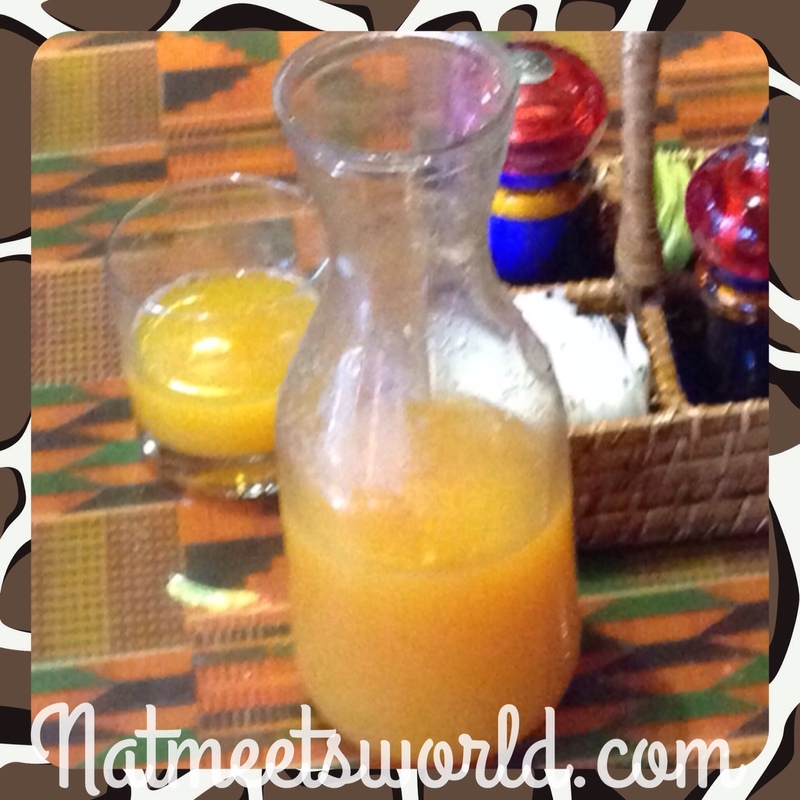 Today, I am going to share the amazing flavors of Boma’s breakfast. 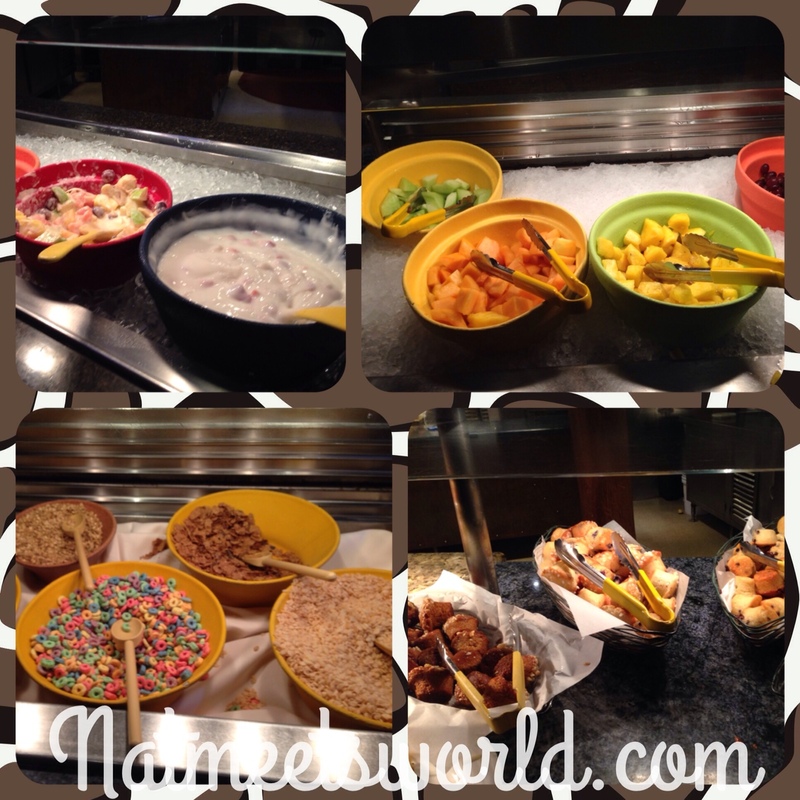 Boma- Flavors of Africa- is a family friendly buffet style restaurant that contains a variety of different foods to satisfy your palettes desire. Before I take you on a photo tour around the buffet line, I must share the most delicious juice I’ve ever had that is offered with your meal. This juice is a blend of guava, passion fruit, and orange juice mixed to create one perfect sweet morning refresher that you won’t want to miss. The great part about this juice? It is brought to you immediately after being seated by your hostess so you don’t even need to ask for it! Don’t you just love Disney’s service? Once you drink a glass of this, grab a plate and here we go……. Above, you will see that Boma serves an array of cereals, muffins, African pastries, fresh assorted fruit, and a thick, creamy yogurt with chunks of sweet, fresh fruit. 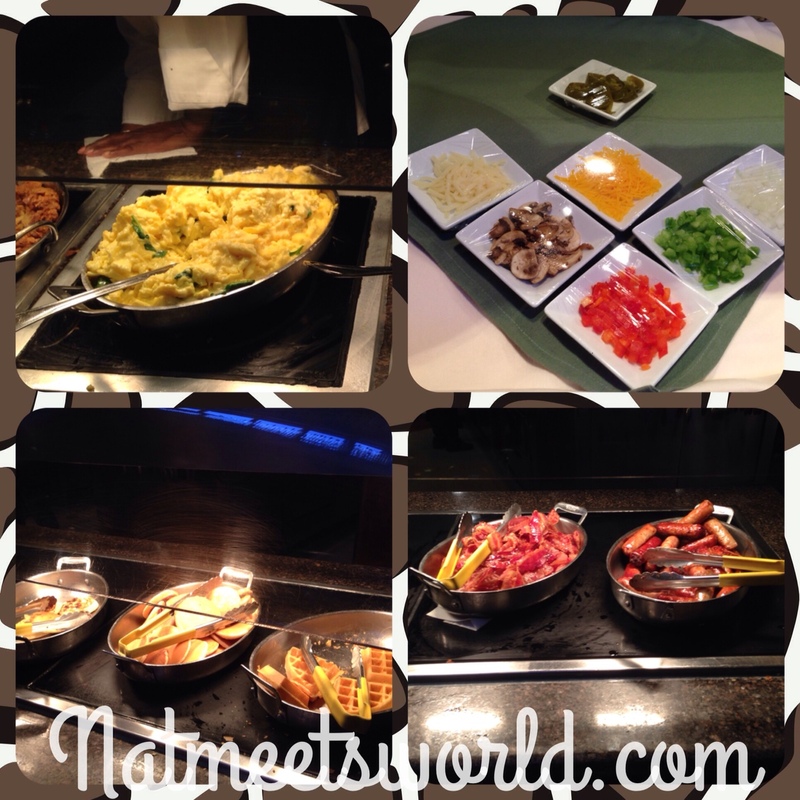 Below, you will see fresh scrambled eggs, crispy bacon and sausage links, pancakes and waffles, and an array of toppings for your made to order omelet. The line for this can be a bit long so I suggest one family member order for you while you continue to grab goodies from the buffet. Above, you will see the trays of assorted breads and bagels for toasting, as well as pastries. See the picture with only two sticky buns left? This is another item that you don’t want to skimp out on. Don’t worry ladies, I know it looks like 1,000 calories, but you’re just going to go walk it off in the theme park, so I give you permission to treat yourself. 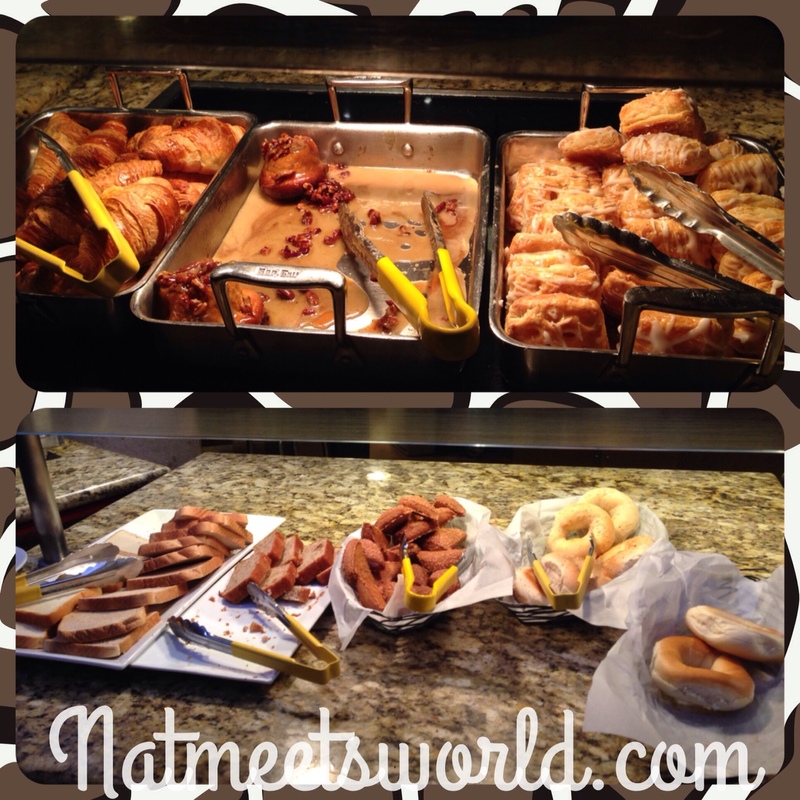 These pecan sticky buns oozing with a sweet glaze flew off the trays both times that I was at the buffet! They are clearly a hit with the crowd! oatmeal with brown sugar and raisins as toppings. There is also maple syrup if you would like to throw a little of that in there. Boma also serves a variety of beverages including assorted juices, coffee, tea, lattes, bottled water, soft-drinks, and milk. Boma’s price range is $15.00 to $35.00 per person (depending on what time of the day you are dining). Deal Alert: This restaurant can be used as one credit on the Disney Dining plan, as well as Tables in Wonderland. It is also a great bang for your buck in the sense that you can eat as much as you would like without paying extra costs. 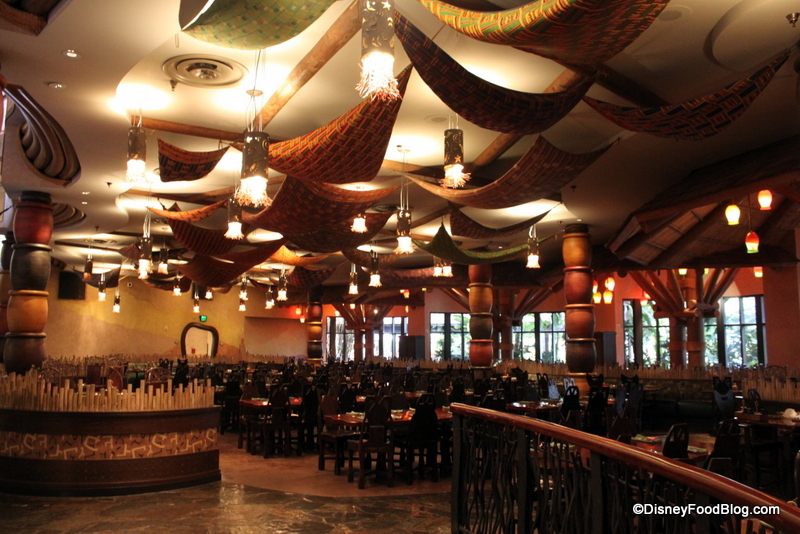 I hope you are able to make it a point to visit Boma on your next Walt Disney World Vacation. Comment below if you love Boma too! Disclosure: I only own pictures with my blog’s watermark on the photo. All opinions and experiences are my own.